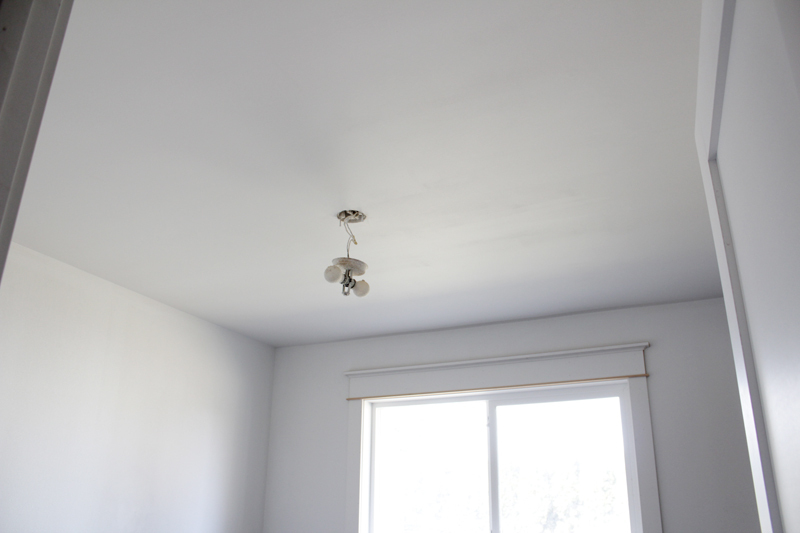 Not all white paint is the same, not even close. When I decided to paint the nursery white I did some research on the best one for a bedroom/nursery. As it turns out, there are so many different whites to choose from, but in so many different shades, that you really have to be careful which one you choose for your specific situation. For us, our crib is gray and so I wanted to pick a white that wouldn't clash with that. I also didn't want the room to feel too cold and gray, so I took that into consideration as well. We narrowed the immense choice of whites down to 4. I've thought a lot about what color I want to do our nursery and finally narrowed it down to white. 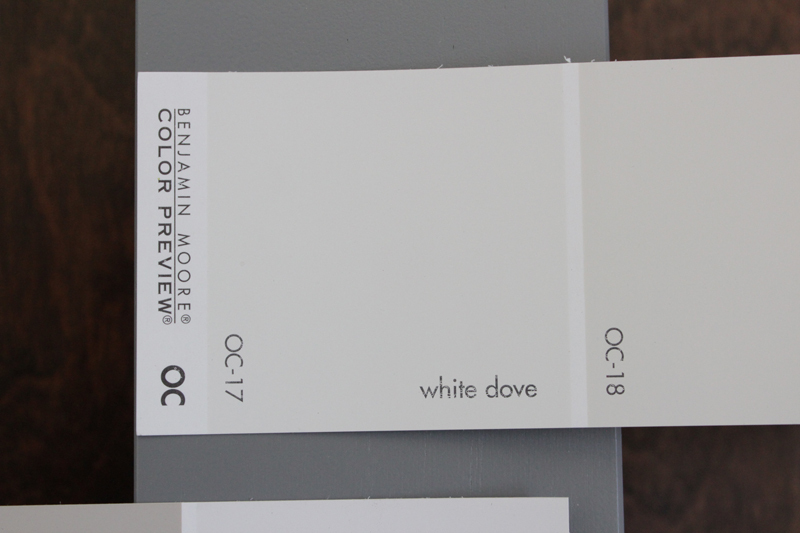 Specifically, Benjamin Moore dove white. I love the simplicity and brightness of white and I think it'll be perfect for showcasing what's in the room without causing too much of a distraction. I do have plans for something special on one of the walls and I'm thinking about doing a very pale pink in the closet and on the ceiling. The nursery to be has been cleared out and is on it's way to getting prepped for paint! I'm so excited to finally get to decorate a nursery for myself (it also helps that we actually know what we are having this time). And if you missed my plan for where the nursery design is headed you can check it out here. It's DOOOONE! 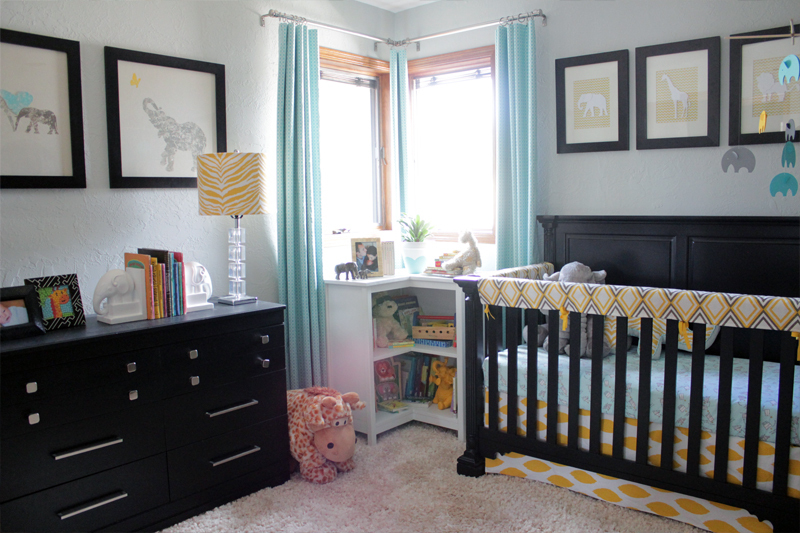 I'm so excited to be presenting you with this adorable nursery! When we started this nursery we were on a budget and a time crunch. Well, at least the budget stayed mainly in tact. As for time, you can blame my little nugget of joy for putting me off the schedule. But now that we're all done I'm so proud of how it all came together. Let's see it! First off, you would not believe how much trouble the weather decided to give me when it was picture time! But in the end it all worked out. Let's start with the entrance view. 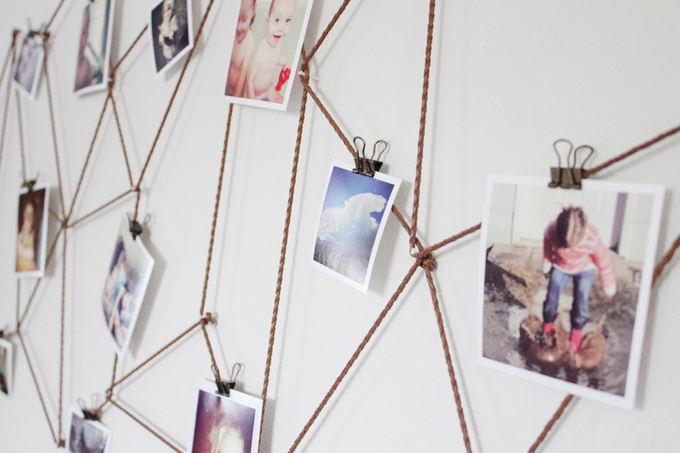 I've been thinking a long time about how I wanted to decorate the walls of our hallway. And by a long time, I mean like since we remodeled over a year ago. Sometimes I'd think it would be better to leave it bare, then I'd think we needed another picture gallery. I constantly went back and forth. Then, I started thinking about a way to maybe showcase our Instagram pictures *ding* lightbulb. An idea hatched and I was off to create a sketch.